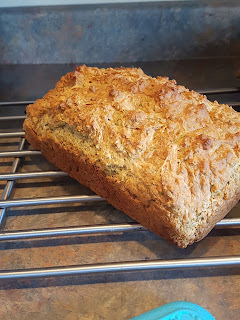 I had a bunch of fresh dill that I had planned on making into tatziki, but then the kids ate all the cucumber, so I decided to make bread instead. Because I didn't want to be stuck in the kitchen for a dough that needed rising and shaping (Spring has sprung! We are outside as much as we can be right now!) I went looking for a quick bread recipe. I found one that called for dill as well as buttermilk which I didn't have but I did have the plain yogurt I'd bought for the tatziki so I replaced the 1 1/2 cups of buttermik in the recipe with 3/4 cup each of milk and plain yogurt whisked together. 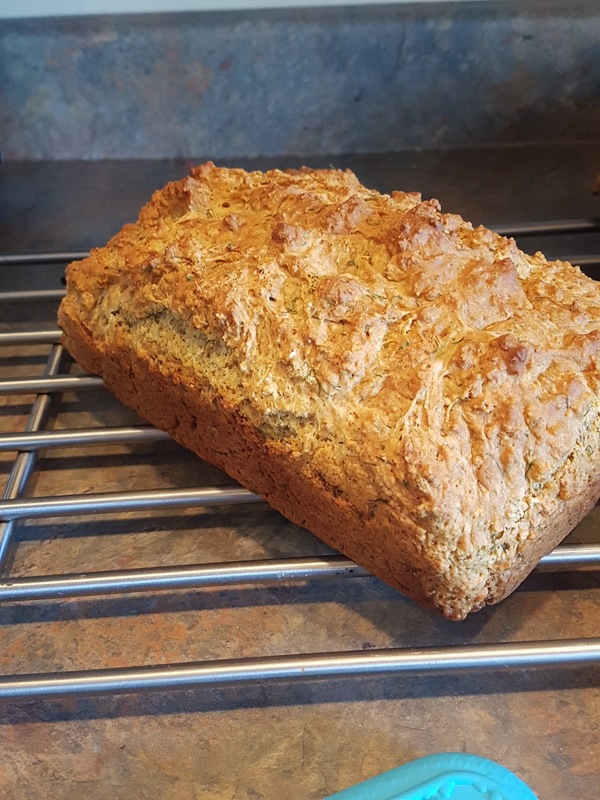 It was a delicious easy bread that called out to be eaten with cheese. As some breads do.